LT Corporation is Free Responsive WordPress theme tailored for image design or corporate websites. This is modern and professional-looking theme built for businesses, portfolios, web apps, photographers, or general company site. Besides, it has useful functions that will help you promote your projects and services. 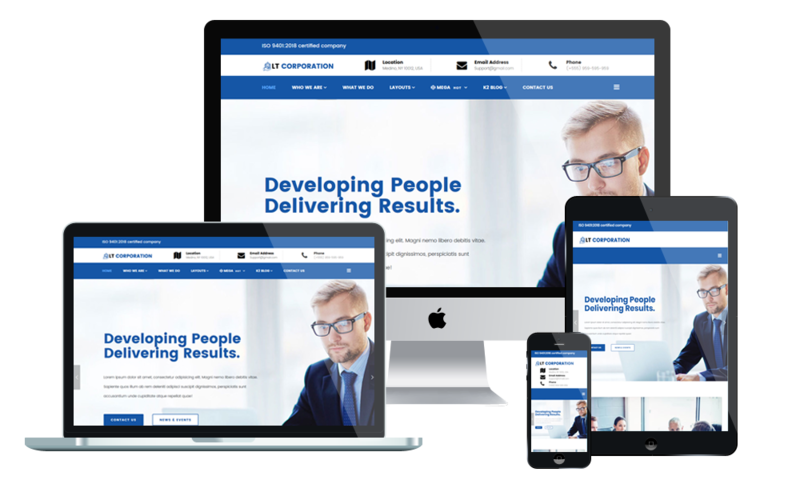 LT Corporation makes your sites display on all mobile devices with 100% responsive layout (fit well on smartphones, tablets and desktops), clean and stylish. The template framework come with many features such as strong shortcode for present content easily, drag-drop layout content, Bootstrap CSS & Hybrid framework. Especially, with the help of its unlimited color and a color picker in the admin panel, you can create awesome appearance for your website with various layouts. This page will help customers learn more detailed information regarding Trade & Investment, the companys business organizations as well as its history. Besides, customers can also refer more feedback from partners toward the work process of your company. Portfolio page showcases gallery about creative images for your customers. We offer modern designs in an eye-catching manner for this page. You can set your blog posts to update the latest news about business here. This is the best way to improve your customers relationship via blog.